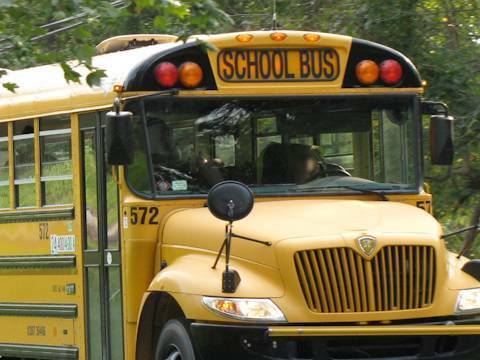 Tignish, Prince Edward Island – On Thursday, February 7th, 2019, the West Prince RCMP received a complaint of a vehicle passing a school bus which had it’s red lights activated. The incident happened on Phillip Street in Tignish at around 3:20 p.m. The vehicle was described as a older style Grey Pontiac Grand Prix that was travelling east bound on Phillip Street. The driver was female. Failing to stop for a school bus when the red lights are flashing will lead to a loss of 12 demerit points, resulting in licence suspension for three months in addition to a fine of up to $5000. Worse than that, it endangers the lives of children using the school bus and could have life-threatening results. Anyone who has information about this issue that might assist RCMP in this investigation can provide anonymously via P.E.I. Crime Stoppers by: reporting on the web ; using the free Apple/Android App that can be found on their web site; or, by phone at 1-800-222-8477 (TIPS). If your tip leads to a conviction, you could be eligible for a cash reward AND you assist with deterring criminal activity which creates safer communities. If you would rather speak to police, you may contact the P.E.I. RCMP at (902) 853-9300.